Satellite navigation devices normally display the quickest or shortest route from A to B. Now scientists have tested a system that works out the most efficient route, in order to minimise greenhouse gas emissions. Eva Ericsson and colleagues at the Lund Institute of Technology in Sweden proved that their sat-nav system was able to work out which routes were considerably less polluting than standard options. The scientists measured the fuel consumption for three types of car on 22 chosen Lund streets in a sat-nav system's database of digital maps. The consumption factors were based on the street's 'class' - taking into account the width and speed limit and other information - and the average amount of traffic in both peak and off-peak hours. The average fuel saving on the 22 streets was 8.2 per cent compared with journeys planned using other methods. During the test, a probe car drove around the same streets sending real-time traffic flow data by radio to the sat-nav system. Ericsson said her team hoped this would improve the choice of route still further, by showing where there was congestion, but it turned out that one probe car was not enough. At least half of traffic problems need to be detected to make probe cars effective, but the lone car detected only about a quarter (26 per cent) of them. 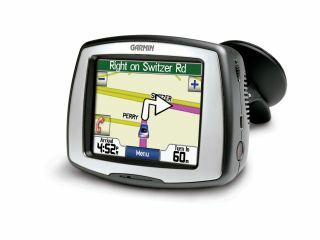 "Commercialising such a system will be no easy task," said Liévin Quoidbach at Navteq , supplier of digital sat-nav maps. "Making the measurements to give every street in the world a fuel consumption factor will be too expensive."